Who doesn’t want perfect skin? Despite all your efforts and the thoroughness of your beauty ritual, you are not immune to scars. In fact, no one really is. Many life events leave their mark on the skin, such as a fall, surgery or acne. Even if they are symbols that recount these events, scars can still be painful, unsightly and even, in some cases, hinder mobility if they are located close to joints. 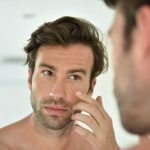 Besides the visual aspect, they can also reduce an individual’s self-confidence, especially when located on visible parts of the face or body. Keep reading to find out how to minimize scars. Scars appear when the dermis, which forms the thick, deep layer of skin, is damaged. The body reacts to this trauma by forming a new layer of collagen to repair the damage. This results in the formation of scar tissue, which will have a different texture and appearance than the surrounding tissue. There are several ways to minimize scars, whether on the face or body. These include natural remedies. There are many of them and they offer varying results. Here are the most famous, known for their qualities. Aloe vera is a natural remedy that is frequently used to reduce the appearance of scars. Its moisturizing and soothing properties help reduce swelling and redness, while its astringent qualities eliminate excess sebum and dead cells. Aloe vera is a safe product, which does not need to be measured before being applied. In addition to being an effective cleaning solution, apple cider vinegar is also used to treat scars. To get the most out of it, mix it with honey and let it work for 10 minutes after application. For best results, repeat this process 3 times a day. Although the effectiveness of natural remedies is recognized, there are also medical solutions. These treatments are particularly effective because they can treat a wide variety of scar types. Dermabrasion consists of removing the surface layer of the skin with special equipment. It is useful to smooth the imperfections of a scar. Dermabrasion improves skin texture and allows new layers of tissue to regenerate. Dermal filler helps to lift sunken scars. It comes in the form of micro-injections that promote tissue hydration and restore skin volume loss. Platelet-rich plasma (PRP) treatment, also known as the Vampire Facelift, is another effective medical treatment that reduces scarring. This non-invasive treatment promotes collagen synthesis, which smoothes and tightens the skin, while reducing fine lines and wrinkles. Although scars can sometimes recall happy events in your past, they are not always welcome, since they can be painful and affect your self-esteem. Univers NuFace offers several effective treatments to soften facial and body scars. To learn more about the treatments offered by our medical-aesthetic clinic, contact our team.